1. Have realistic expectations. Don’t expect to be able to take care of an infant by yourself while travelling AND working online full-time. Pick two. If you can take maternity/paternity leave with your job, do it! You can happily travel with a baby if you are not working or you can choose to stay in a home base country for the first 3-6 months and use daycare while you work full or part-time. You can’t have everything, compromises will have to be made. Don’t give up. It gets a little bit easier when they are toddlers and a lot easier sometime after they turn 3. 2. Travel slower. Moving locations every few days is not only disruptive to young children, it will wear you out mentally. We stay a minimum of one week in every location except for the rare, overnight hotel stop while on route to a destination. One month is even better. Remember, if you have chosen a nomadic lifestyle, you don’t have to rush through countries. Rent a flat on AirBnB and get to know a city. 3. Don’t waste time with cooking or cleaning. Child-free travellers will never understand how there can be housework on the road but all moms know just how much extra work little ones create for you no matter where you are. You don’t want to have to limit yourself to hotels. Laundry, picking up toys, sweeping up endless crumbs, cooking healthy meals; as a digital nomad, you can choose to live in places where you can hire someone else cheaply to do all of those tedious tasks that take up too much of your day. Hint: These places are primarily in SE Asia and South America. Grocery store delivery – available in many countries. Saves time and as a bonus, your kid can’t see the toy aisle. Serviced apartment with a maid – very affordable in Thailand and Vietnam. Drop in daycare – can be hard to find but does exist. Best to use when staying in one place for a month or more so your child gets to know the staff. There is no shame in ordering a pizza when you are really tired. Hotel babysitters are expensive but a lifesaver when you need to make a scheduled Skype call. You never need to cook for yourself in SE Asia. 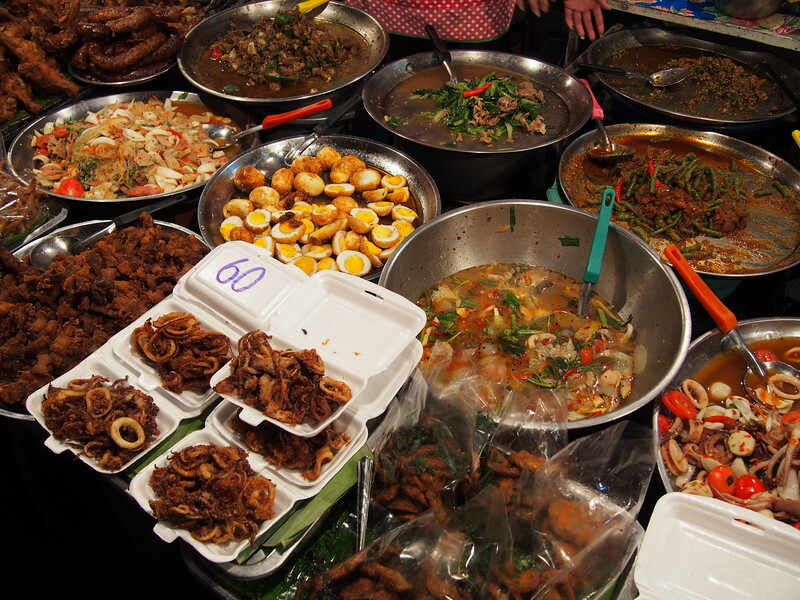 Street food in Thailand. 4. Outsource and automate as many tasks as possible. Upwork – You know how it is difficult to find freelance work on sites like Upwork because people in lower pay countries always underbid you? You can hire those people to do any task that doesn’t need your specialized, personal attention. This is great for tasks like translation and web research. Virtual assistants are very affordable these days. Hire a good accountant. You probably don’t have time to do things like income taxes or sales tax returns yourself. 5. Naptime is for work AND saving your sanity. Naptime is ideal for getting work done uninterrupted but sometimes you need to use that precious time to do something for yourself: read a book, listen to a podcast, take a nap. You will be more productive if you give yourself some downtime on occasion. Cafes with play corners. These are magical places and hard to find in most cities. In Prague, they are everywhere! Outdoor playgrounds that are enclosed by a fence with a closed gate. I like to sit close to the gate so I can make sure Little Nomad doesn’t decide to go exploring. You still need to keep one eye on your child and one on your work but you can get a surprising amount done. You will be interrupted by a child that needs to be pushed on the swing. 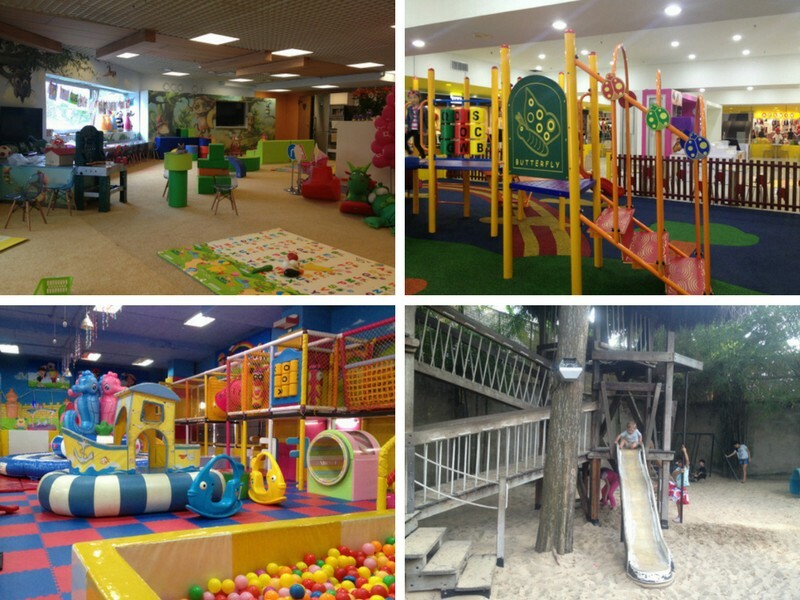 Indoor playgrounds. These are fantastic, especially when there is an attendant that watches over the kids. Some of them have will have tables where you can sit and have a coffee (and work) while your child plays. Bring headphones or earplugs because some of them can be noisy. Playgrounds I have used as an office. Clockwise: Prague, Penang, Ho Chi Minh, Chiang Mai. 8. They grow up quickly. As I write this, Little Nomad is just about to turn 4. He understands when I say that morning is mommy’s work time and I will play with him when I am finished. I have mastered multitasking. I can easily hold a conversation about superheroes while writing a blog post. It gets so much easier. There were times when it was difficult travelling with a small child and trying to find time to work but I wouldn’t trade those travel memories for anything.